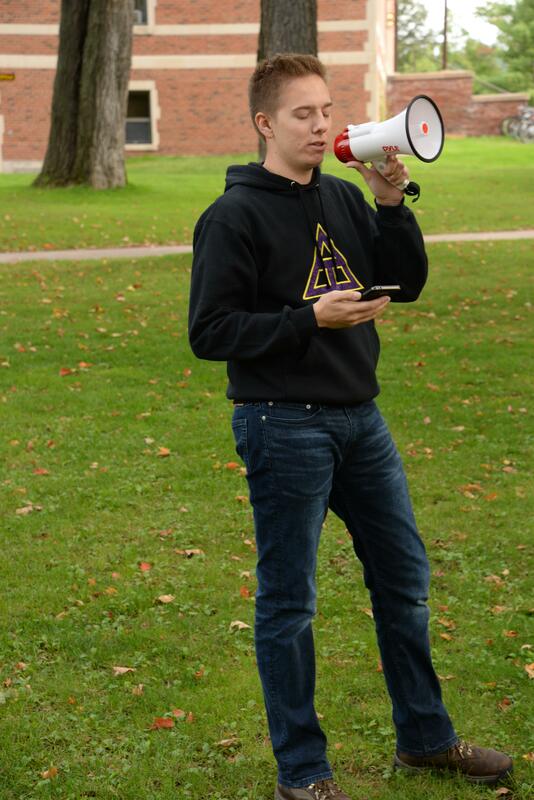 Triangle Fraternity at Michigan Tech is going open source! With a new website on GitHub Pages and all of our tools in public repositories, we’ve been more than ever willing to share our success with others. Brett joined Triangle in April 2016 and has served as Vice President of External Affairs, Brotherhood Chair, and Admiral. He loves music and the outdoors, and will forever cherish the lifelong friendships that he has formed in Triangle. I joined the fraternity on a whim. Figured if I didn’t like it I could always leave. That decision was hands down the best thing I ever did in my time at college. I didn’t just make some new friends, I found a calling to something bigger than myself. I became a brother of Triangle my last year at Michigan Tech. Although my time as an active brother was brief, the most valuable thing I learned was that it doesn’t take a lifetime to make lifelong friends! Joining Triangle was the best choice I’ve made. Not only have I learned an unbelievable amount from those around me, I’ve also had the chance to help others grow. Nothing is more rewarding and exciting then seeing my Brothers grow and succeed. As someone who has a deep appreciation for personal development, Triangle was the perfect opportunity to learn, grow, and mature with an excellent group of men. Even after graduation, we are always pushing the standard of excellence. My time in Triangle was excellent. The lasting memories I was able to create with such an amazing group of guys is unforgettable. Ranging from great adventures camping to statue building I will not forget my time as an active. In life you only have so much time to do awesome things. Joining Triangle allowed me to do way more awesome things while making way more awesome friends.